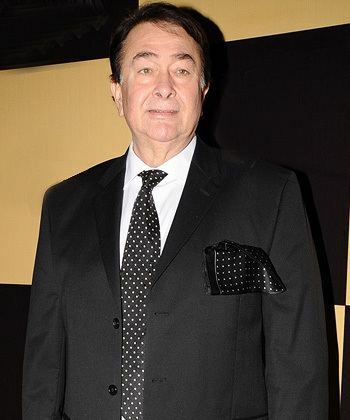 Randhir Kapoor (born 15 February 1947) is an Indian film actor, producer and director, who works in the Hindi film industry. He was an established actor of the 1970s and a two-time Filmfare Award nominee. Part of the Kapoor family, he is the son of actor–filmmaker Raj, grandson of actor Prithviraj and the brother of actor Rishi. 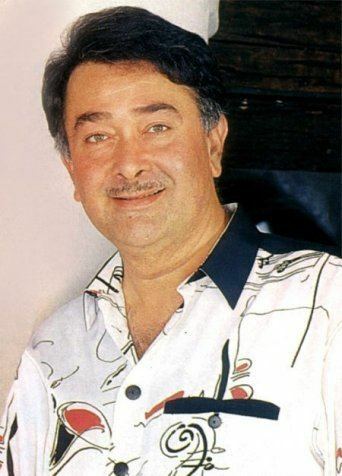 After working as a child in Shree 420 and Do Ustad, Kapoor made his acting and direction debut with a leading role in the family drama Kal Aaj Aur Kal (1971), a box office success. Subsequently, Kapoor's starring roles in the dramas Jeet (1972), Hamrahi (1974) and the romantic comedies Jawani Diwani (1972), Lafange (1975), Ponga Pandit (1975), Bhala Manus (1976) and the multi-starrers such as Raampur Ka Lakshman (1972) and Haath Ki Safai (1974) established him as a leading actor of Hindi cinema. His performance in the film Kasme Vaade (1978) earned him critical acclaim and a Best Supporting Actor nomination at Filmfare. He was appreciated for his performances in Bhanwar, Chacha Bhatija, Heeralaal Pannalal (1978 film), Mama Bhanja, Aaj Ka Mahaatma, Khalifa, Chor Ke Ghar Chor, Aakhri Daku, Dhongee, Biwi-O-Biwi and Humse Na Jeeta Koi. 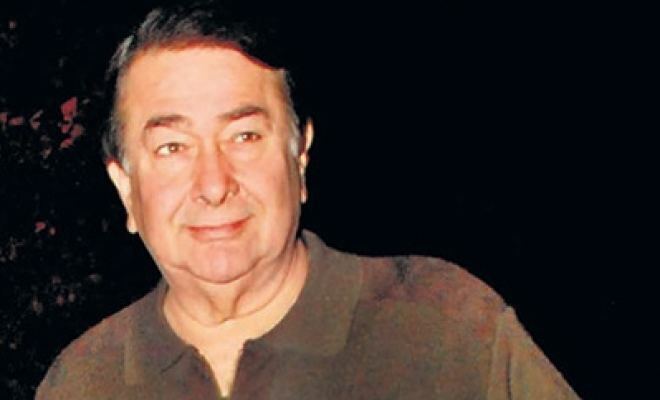 Kapoor's career declined when the romantic musicals Harjaee and Jaane Jaan became flops, and when his films Khazana and Nikkama got delayed in production. His career failed to propel forward after 1985, after which he quit acting for over a decade. However, The Kapoor-directed blockbuster romantic drama Henna (1991), proved to be the most commercially successful film of the decade — earning him a Filmfare Award for Best Director nomination and was chosen as the Indian submission to the Oscar. 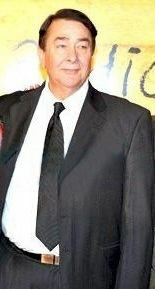 In recent years, Kapoor has occasionally returned to films with his biggest commercial success, the ensemble comedy Housefull (2010), and followed it with its sequel (2012), both of which earned over ₹1 billion (US$15 million) worldwide. 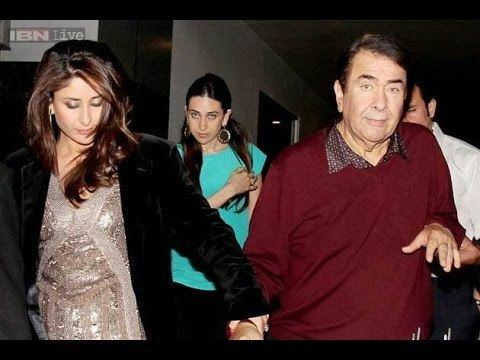 Kapoor is married to actress Babita Shivdasani since 1971, with whom he has two daughters, actresses Karisma and Kareena Kapoor. The couple separated in 1988, but reconciled in 2007, after living separately for several years. Kapoor was born on 15 February 1947 in Chembur, Bombay, Bombay Presidency, India (now known as Mumbai, Maharashtra) to Punjabi parents. His family moved from Peshawar and Samundri (now in Pakistan) to Bombay, before the partition of India, for acting careers. He is an alumnus of the Colonel Brown Cambridge School, Dehradun. He belongs to the famous Kapoor family who have been part of the Hindi film industry since the late 1920s. 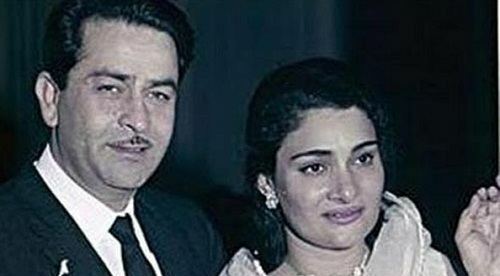 He is the eldest son of actor and filmmaker Raj Kapoor and his wife Krishna Kapoor. He has two brothers, actors Rishi and Rajiv, and two sisters, Rima and businesswoman Ritu. He is one of the grandsons of actor and producer Prithviraj Kapoor, and grandnephew of actor Trilok Kapoor. His paternal uncles, Shammi and Shashi Kapoor were both actors. Also, his maternal uncles, Narendra, Prem Nath and Rajendra were all involved in Hindi cinema. Actor Prem Krishen, is his maternal cousin, while actors Aditya, Karan, Sanjana and Kunal are his paternal cousins. Actor Prem Chopra is his uncle-by-marriage (Krishna's sister Uma's husband). Actress-singer Salma Agha is his second cousin. His nephews include actors Ranbir Kapoor and Armaan Jain, and businessman Nikhil Nanda. Randhir first appeared as a child artist in Shree 420 (1955) and Do Ustad (1959). He became an assistant director with the film Jhuk Gaya Aasman, starring Rajendra Kumar in 1968. 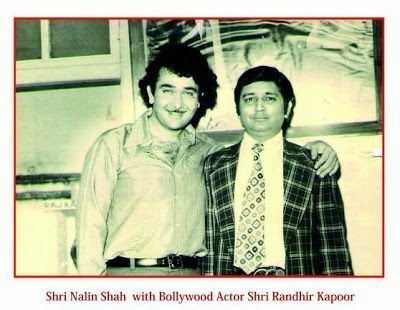 Randhir Kapoor made his acting and directorial debut with Kal Aaj Aur Kal (1971), which also starred his wife, father and grandfather. The film, produced under the R.K banner, was an average success. After his debut, he acted in three consecutive hit films, all released in 1972: Jeet, Raampur Ka Lakshman and Jawani Diwani. Jawani Diwani was one of the biggest hits of that year. Raampur Ka Lakshman costarred Shatrughan Sinha and Rekha, and was directed by Manmohan Desai, with music by R.D. Burman. Randhir and Babita were paired together in Jeet, after their marriage. Jeet was remake of the Tamil film En Annan starring M. G. Ramachandran and Jayalalithaa in the lead roles. After the success of Jeet, Randhir decided to do a remake of another film of MGR. Then MGR’s hit 1971 film Rickshawkaran was remade in Hindi in 1973 with Randhir as the lead hero opposite the new heroine Neetu Singh, by director K.Shankar, but the film flopped though its music was popular. In 1974 he had 2 big hits – Hamrahi and the two-hero film Haath Ki Safai. In 1975, he directed and starred alongside his father again in the critically acclaimed Dharam Karam, which was a box office disappointment. Over the years this film has developed a cult status and is considered a classic. Two of his other films, Lafange and Ponga Pandit, were hits that year. From 1976 to 1981, his multi-star films such as Chacha Bhatija (1977), Kasme Vaade (1978), (the latter of which earned him a Filmfare Award for Best Supporting Actor nomination), Mama Bhanja, Heeralal Pannalal, Dhyanu Bhagat also known as Bhakti Mein Shakti and Biwi-O-Biwi: The Fun-Film, were hits too. After the failure of the 1981 Harjaee, he got few offers to star or co-star in films. His film Nikkamma, begun in 1976, finally released in 1983 as Janejaan, was also a dud. The song composed by R.D. Burman, and sung by Kishore Kumar and Asha Bhosle – "Tere Bina Mein Kuch Bhi Nahin Hoon" from the delayed film Janejaan was popular in 1983. He starred in Sawaal and Pukar in 1983, and received critical praise for his performances, but they flopped nonetheless. In the same year, Humse Na Jeeta Koi received average collections. His last film as a leading actor was Khazana in 1987 after which he did not appear in a film for a decade. In 1991, he directed and produced the blockbuster Henna (1991), that starred his younger brother, Rishi Kapoor and Pakistani actress Zeba Bakhtiar. The film had started production in 1988 with his father Raj Kapoor directing, but after his death, Randhir took over as director of the film. Henna resulted in a trip to Pakistan, where he was treated royally by then-president Nawaz Sharif, a fan of his father Raj and his uncles Shammi and Shashi. He was nominated for the Filmfare Award for Best Director. The film was chosen as the Indian submissions for the Academy Award. In 1996, he produced PremGranth, the directorial debut of his younger brother Rajiv, and in 1999 he produced Aa Ab Laut Chalen, the directorial debut of his brother Rishi, which had Rajesh Khanna, Aishwarya Rai and Akshaye Khanna in the lead roles. He was set to return to acting after a gap of 10 years with the 1997 film Ladies Only. This film was produced by Kamal Hasan and was remake of Magalir Mattum. The film also starred Shilpa Shirodkar, Seema Biswas, Heera Rajgopal and Kamal Hassan. Although completed, the film was never released. In 1999, he made his comeback in the film Mother, alongside Rekha, Jeetendra and Rakesh Roshan. After another break, he appeared in the film Armaan (2003), in a supporting role as Preity Zinta's father. On 13 May 2007 he made an appearance on the television chat show Koffee with Karan alongside his brothers, sister Rima and his sister-in-law Neetu Singh. On the show, it was mentioned how Randhir had been Neetu's first leading man in the film Rickshawala (1973), which was not a success. In 2010, he returned to films with supporting roles in Housefull and Action Replayy. In 2012, he appeared in the multi-starrer Housefull 2, the first film in which he acted along with his brother Rishi. He went onto appear in Ramaiya Vastavaiya in 2013 and Super Nani in 2014. Randhir married actress Babita, the daughter of actor Hari Shivdasani, on 6 November 1971 when he was just 24 after co-starring with her in Kal Aaj Aur Kal, as the couple fell in love during the shooting of this film. Their two daughters, Karisma Kapoor, born in June 1974, and Kareena Kapoor, born in September 1980, are Indian film actresses. The couple separated in 1988 as differences arose between the couple as Randhir's acting career slumped after 1983 and Babita wanted her daughter Karishma to be an actress. Babita left Randhir with her daughters. Although against his daughters becoming involved in acting, he eventually came around the idea and is supportive of their careers. The two reconciled in October 2007, having never divorced but lived separately for 19 years.